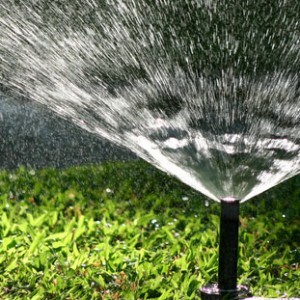 July is officially Smart Irrigation Month, which is a public awareness campaign to promote efficient water use. As we all know, water is our most precious natural resource. Here is a relatively new and exciting way in which Silversand Services can help you save money when it comes to irrigating your property or lawn. Smart controllers are a great water saving device for any irrigation system, new or old. Silversand Services has the experience and the knowledge of the various smart controllers on the market today. We can evaluate your property and your needs to determine the best product for your system. Many of these smart controllers bring advanced features that your normal irrigation controller cannot do. Some of these features include: Customized Watering Schedule incorporating Weather Data (ET), Flow Management, Web Based Control, Water Budgets/Reports, and Alerts/Automatic Shutdown (sending you an alert to your email account in the event of a leak, break, and/or shutting down the system automatically). We can also take your system one step further by installing low volume irrigation products such as drip irrigation and rotary nozzles. All of these products are great water saving features that can be retro fitted onto any existing irrigation system. These are just a few ways Silversand Services can help you save money and water more efficiently. If you are interested in any of these produce please call for more information.